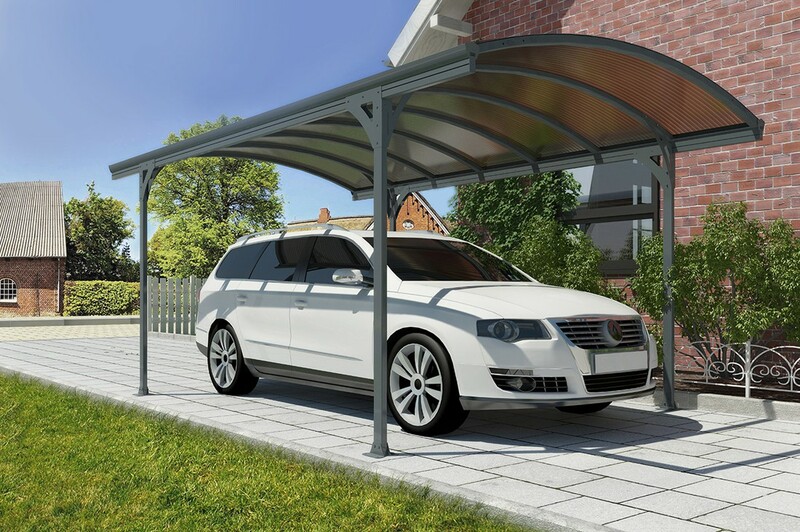 The Vitoria 5000 is a modern and elegant carport, designed to be set up easily! Can be perfect shelter for your car, with its open design, it provides a great and comfortable wide access, yet offers protection from severe weather conditions. Vitoria 5000 combines with modern design and its simple effortlessly into your existing environment. Due to minimum parts, you can find it easy DIY assembly for only 2 persons and no special tools needed. In addition, with its stable aluminum frame it provides long-term pleasure without any extra effort or maintenance. Super seal roofing system Provides great sealing performance under severe weather conditions and prevents panels from thermal expansion damages. 1. Different kinds of tapes with very limited adhesive strength and life time. 2. Crumpling the sheet edge and by that preventing the use of any capping aluminum profile. Palram new edge sealing solution is based on a special material with long life time and UV resistance. The material is applied in a manner which is not changing the panel shape, therefore allows the usage of end capping aluminum profiles when needed. This material has been tested for peeling, high temperature environments, accelerated exposure to UV radiation, moisture room for one month without any moist penetration and more. Only 4 legged durable structure provides wide and high entrance for easy & safe access.